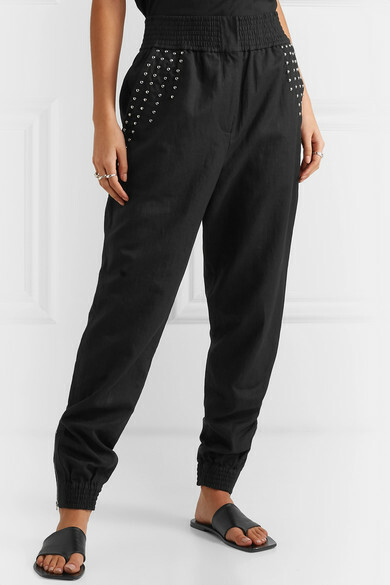 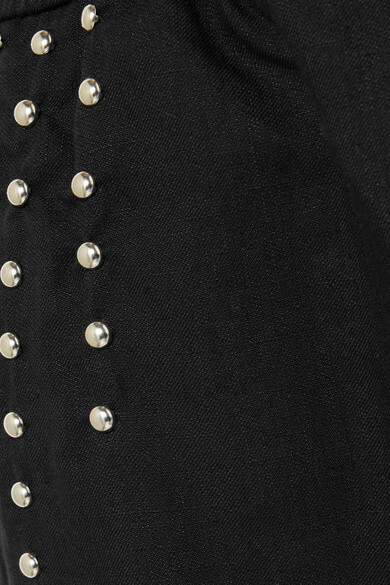 IRO’s 'Richly' tapered pants are embellished with round studs to emphasize the high waist. 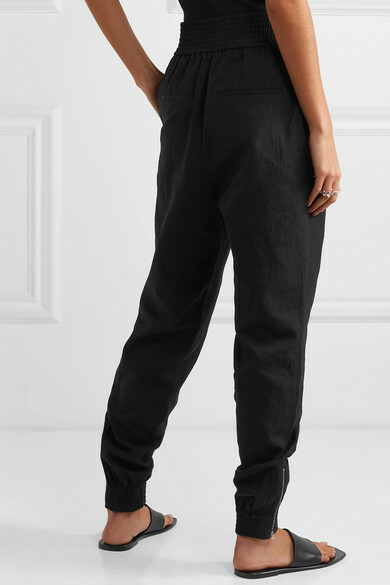 This linen and cotton-blend pair has zips at the ankles that you can undo for a better shape over hi-top sneakers or ankle boots. 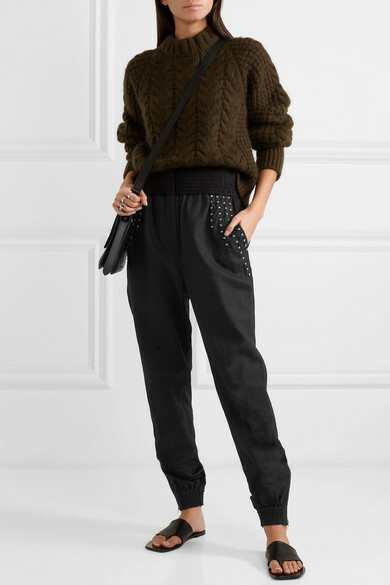 Shown here with: Cecilie Bahnsen Sweater, The Row Sandals, Mulberry Pouches, Paola Vilas Ring, Dinosaur Designs Earrings.